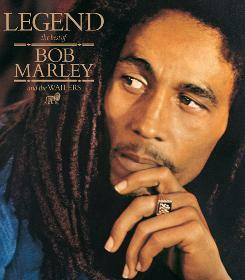 Released in 1984, Legend: The Best of Bob Marley and the Wailers didn’t stir it up on the charts. It entered Billboard at No. 168 and peaked at No. 54. But the reggae icon’s posthumous collection has lived up to its name by becoming only the 17th album to exceed sales of 10 million copies since Nielsen SoundScan began tabulating in 1991. This entry was posted on Saturday, August 1st, 2009 at 5:53 pm	and is filed under Reggae Music. You can follow any responses to this entry through the RSS 2.0 feed. You can skip to the end and leave a response. Pinging is currently not allowed.